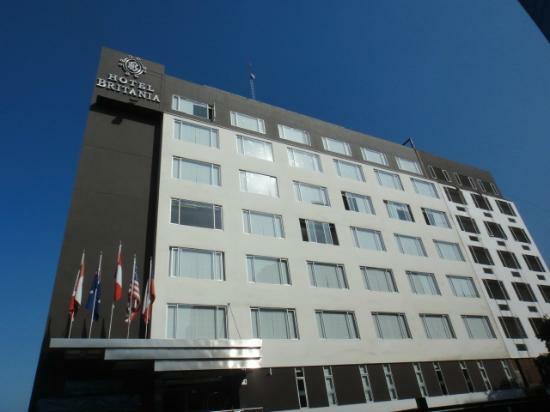 Welcome to the hotel Britania Miraflores. If it come for Bussiness or for pleasure in the hotel Britania we have everything necessary in order that your permanency should be better. 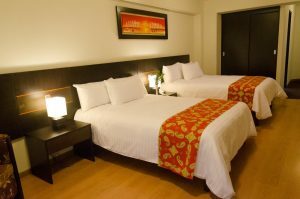 Our Areas has been created in order that the modern thing, the elegant thing and the confort are mixed by a personalized treatment and a service based on the cordial thing and quality, the rooms are elegantly decorated mixing our Peruvian origin with technology and confort that made yor permanency unforgettable experience. The location not to be better to only 30 minutes for the airport international and 20 min Of the historical center, we are in Miraflores heart to three blocks of the square Kennedy, where there are cultural activities and fairs of crafts are realized every day outdoor. District known for being the most cosmopolitan, commercial and tourist. 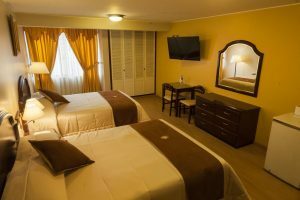 We have room specially to equip for your comfort and with a special warm decoration and modern where our Peruvian culture mixture with the vanguard and create an atmosphere the comfort and calm. • Mini bar with national and international liquors, sodas, mineral water, chocolates and snacks.